Illusions — Finished! | NJNA is Blogging! This really great piece by Ro Pace was so much fun to stitch because of all the Jean Hilton stitches. 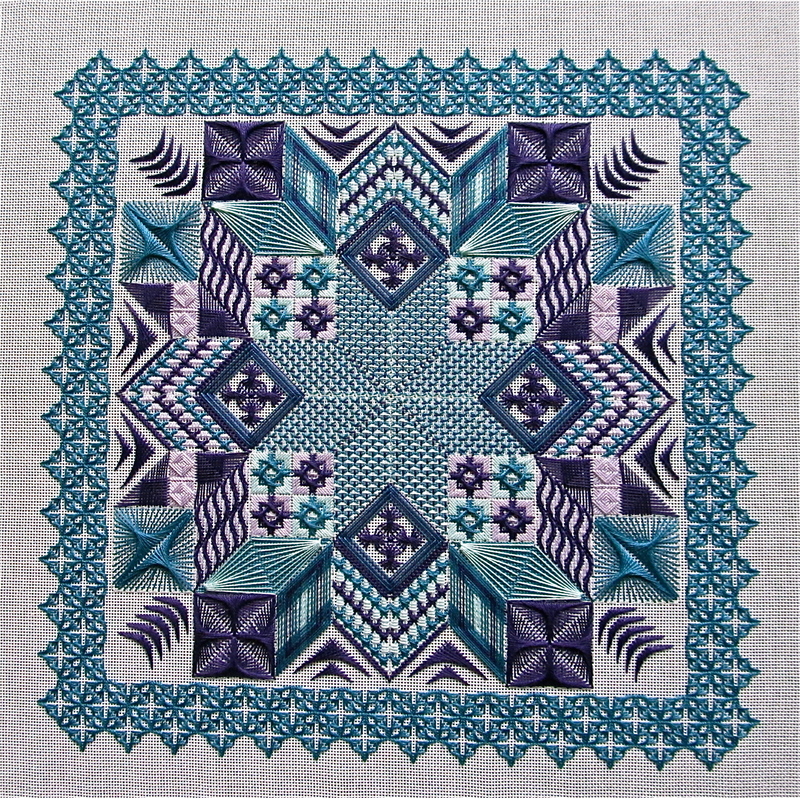 The lacy border is my favorite part! Another great thing is that the whole piece could be done with no laying of threads! I changed the thread color a little bit in the center star because I thought the design color was too dark. I’m happy with the balance in the change. Feel free to send me any other seminar pieces that you have done and I’ll be happy to put them up here. Hopefully, we will have our new site up and running soon and then this can just be a faded memory! Rosie, that is STUNNING! Even if it is not Bella’s thing! It is just gorgeous! Congratulations on the finish. I agree with you about the borders.